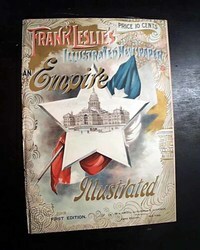 FRANK LESLIE'S ILLUSTRATED NEWSPAPERS -- AN EMPIRE ILLUSTRATED, New York, Sept. 27, 1890 Contains a beautiful color cover in celebration of Texas. 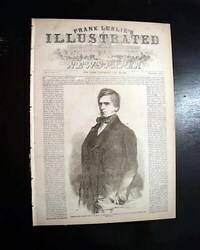 Noted as the "first edition" at the bottom. 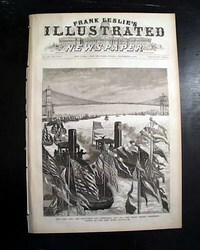 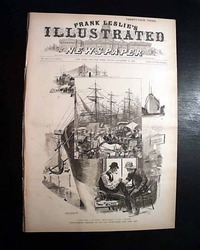 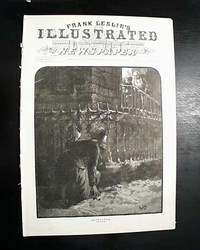 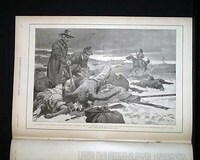 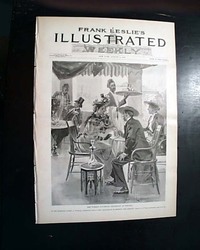 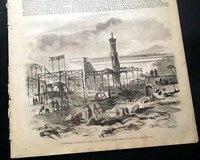 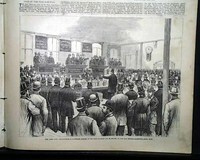 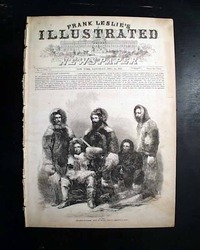 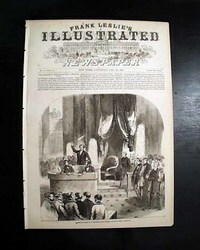 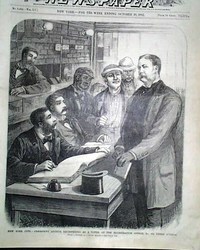 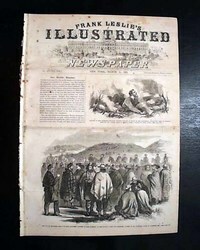 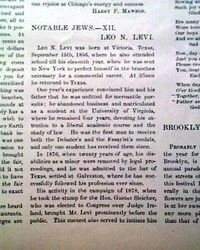 Inside the cover is: "The Interests Represented by Wright & Lenoir, Fort Worth, Texas" showing 6 scenes including cowboys. 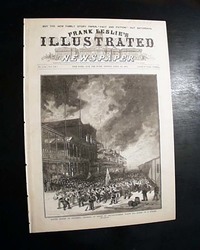 FRANK LESLIE'S ILLUSTRATED, New York, Sept. 7, 1889 Inside has a nice 6 by 4 1/3 inch print of: "John Montgomery Ward, The Famous Short-Stop, New York Base-Ball Club." 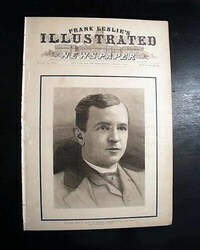 Includes a brief biography of Montgomery, a member of the Baseball Hall of Fame. 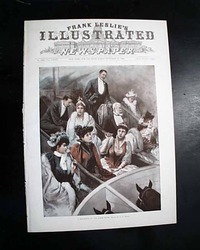 The uncommon German language edition. 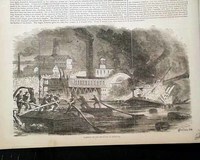 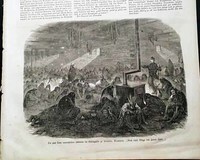 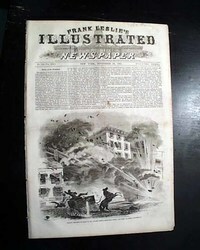 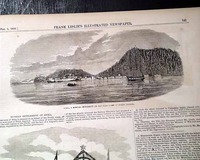 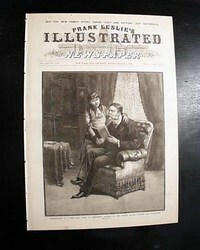 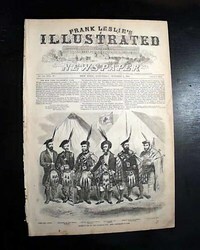 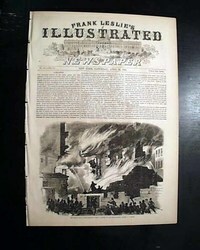 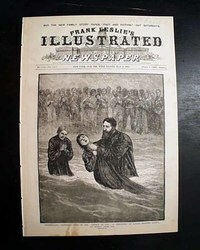 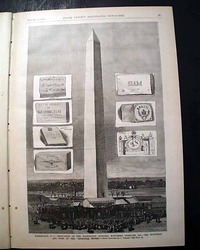 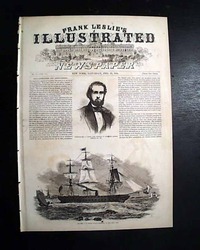 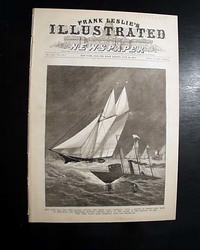 FRANK LESLIE'S ILLUSTRISTE ZEITUNG, New York, Jan. 31, 1863 This famous illustrated newspaper but this edition is totally in the German language, printed in much smaller quantities. 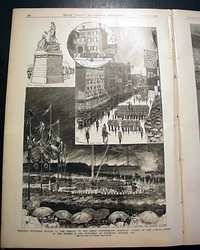 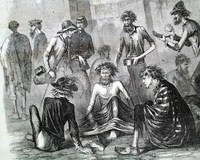 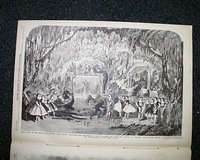 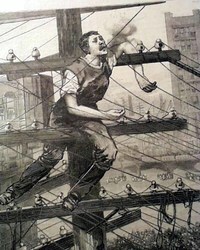 Various illustrations throughout. 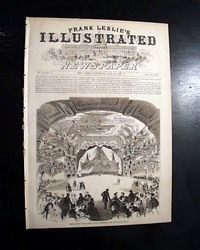 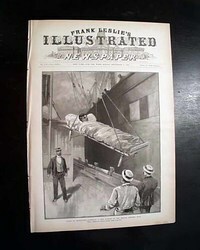 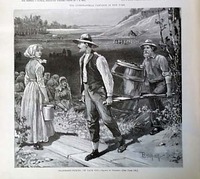 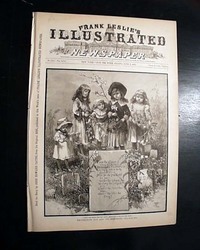 FRANK LESLIE'S ILLUSTRATED, New York, April 23, 1887 This issue contains a slightly larger than a full page illustration entitled "Washington, D. C. -- An Unique Festival -- Egg-Rolling in the White House Grounds on Easter Monday" and has an accompanying article. 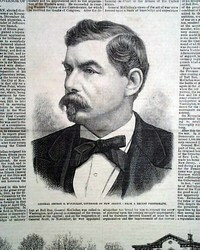 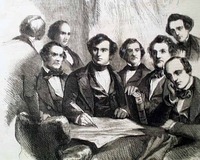 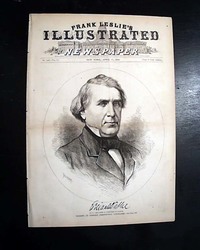 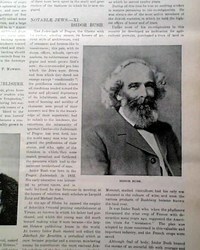 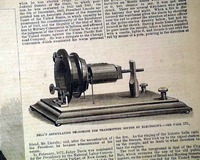 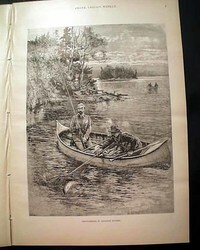 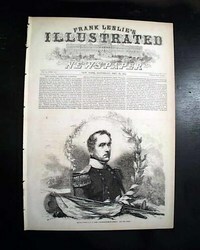 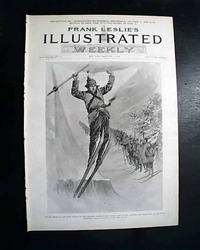 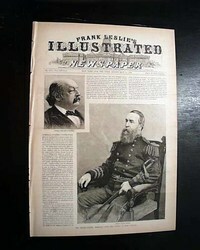 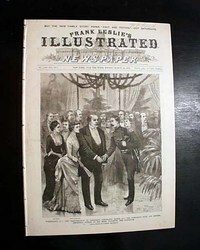 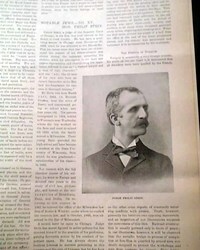 The front page features a print: "Portrait of Ex-Governor Hunt, of New York" plus an article on "General Walker as a Political Mentor".